Ex-LucasArts employees Tim Schafer, David Dixon and Jonathan Menzies formed Double Fine Productions in 2000. 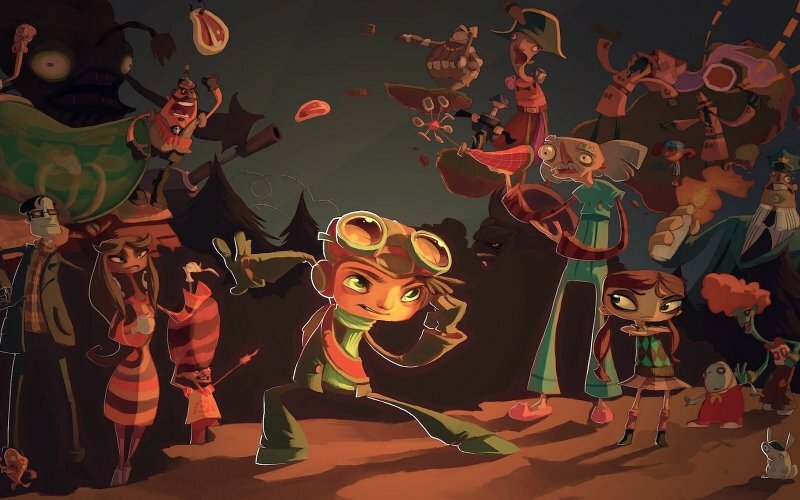 Their first completed project was a 3D platform adventure that starts in an awfully bizarre summer camp and ends in an offal bazaar: Psychonauts. Leon, James, Josh and our faithful correspondents analyse this.